Each spring colleges attempt to entice students to their university with award letters to reduce the end cost. These award letters will show up in the families email, or mailbox between March 1 st and April 15th, depending on the college. When a college's award letter does not meet the student's financial needs, either in the total amount or type of aid, the student can appeal the award to the college. Most colleges have an appeal process that allows students to request a review of their financial aid eligibility and financial aid award offer. Each college determines its regulations for this process, and students should be aware of a particular college's procedures. If the student does appeal an award letter, the student should be specific in requesting additional funds. The student should clearly state the reasons for the appeal, and ask for a particular amount of money. The student should contact the college’s financial aid administrator (FAA) directly. It is preferable that the contact is made in person; if this is not possible, the communication should be by telephone. The "personal touch" is essential to a successful appeal. If for some reason the student cannot contact the FAA in person, or by telephone, the student should write the request and submit any supporting documents with the letter of appeal, such as a better award letter from a competing college. The student should request the FAA to exercise "Professional Judgment” in their letter of appeal. Professional Judgment is the authority given to the college FAA to change the family's financial and household data in any way that would more accurately measure the family's ability to pay for educational costs. To successfully appeal an award letter, the student must fully understand the concept and definition of Professional Judgment. Professional Judgment may only be made in extraordinary circumstances, and only when the family provides adequate documentation of these particular circumstances. Special circumstances are not limited to elementary and high school tuition, unusual medical or dental expenses, a dislocated worker, an unemployed worker, or unusually high child care expenses. It could include circumstances that were considered to be "special conditions," such as divorce, separation, or the death of a parent or spouse after the application was filed. If these situations occur, the college's FAA must be contacted directly to increase the aid award. Adjust the college cost of attendance to take into account special circumstances, such as medical needs or excessive travel costs. Adjust the income and assets of a family located in a federally declared natural disaster area. Any other "special circumstance" that the family and its financial advisor can convince the FAA to adjust the EFC data elements. The appeal of an award letter has a much higher chance of success if the student has the type of merit, such as academic, athletic, musical, etc., that the college needs to fill its enrollment needs. In the appeal letter, you should always emphasize the quality of the student to the FAA. This procedure is especially true at private colleges that seek to attract students with merit. Use the admissions office, coach, or other college officials to assist in the appeal. Appeal in person, if possible. If an appeal in person is impossible, appeal by telephone. 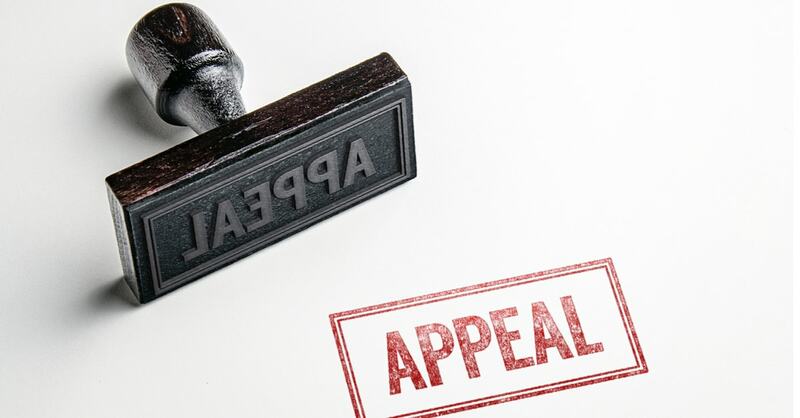 If an appeal in person or by telephone is not possible, then appeal by letter. Always send adequate documentation of the special circumstances. Never use the words “negotiate” or “match” in the appeal. When appealing, don’t make it sound as if a professional advisor is assisting with the appeal. Select 6-8 colleges to create competition for the student. Select a similar college where the student will be in the top 25% of the incoming freshman class. If a student receives a good award offer from a competing college, the student should ask his college of choice to “match” the other college’s award offer. However, never use the word “match” in the correspondence or conversation with the FAA. The word “match” offends some FAOs. Colleges with declining enrollments may be more willing to negotiate with a student because of their desire to fill empty seats. Colleges may have scholarships for upper-middle class and wealthy families to attract good students and future benefactors. Colleges may have special scholarships for minority students. A student should inquire at the college for these scholarships. Colleges may have special scholarships for students of alumni or legacy students. A student should inquire at the college for these scholarships. A college’s desire for cultural diversity in its enrollment may lead to increased financial aid offers for students who are from out of the college’s geographic region, or who are culturally different from its standard enrollment. Example: A family, residing in a county that was declared a Federal Natural Disaster Area due to flooding, appealed the income and asset amounts reported on the FAFSA to the FAA at the college their child was attending. The family documented that the value of the building, which contained the family business, had been significantly reduced due to damage sustained during the flood. The family did not have flood insurance to cover the loss. Also, the family's income generated by the business assets would be significantly reduced during the upcoming period of clean up and repair. The FAA agreed that this was indeed a special circumstance and adjusted the student's original FAFSA amounts and increased the value of the initial financial aid award. Example: A parent was able to convince the FAA that his "un-reimbursed business expenses,” should reduce his income because they were actually "out-of-pocket" expenses against his income. Example: A parent was able to convince the FAA that the bonus he received from his employer was a one-time event and that it distorted his normal income level. Example: Parents convinced the FAA that their income and expenses did not indicate their ability to contribute to their child's college education. The parents showed the FAA that their income was inflated due to a required retirement withdrawal for a parent who had been recently released from his job. They also proved to the FAA that they had excessive medical bills for a disabled sibling.